I grew up around the Hunter Valley vineyards. My grandfather worked as an assistant wine maker for a time and made sure in my teen years I did my fair stint between the trellises working on a vineyard. I did work experience in a winery and even did viticulture as an elective subject in school. However I never got around to doing a trip around the vineyards on a tasting mission. That was something in my life I direly needed to change! Kumi, a colleague we worked with had completed her stint up at Paronella Park and was enroute to Melbourne. She had stopped in at Newcastle and we thought this was the perfect excuse to go on a "sampling" adventure! Jeni tried a few wines, but she was being a good sport and was deso, while Kumi and I did our best to make educated opinions on the fine wines we were to taste. it, but if you are planning on going, it was the 8th century, what the Japanese call their Nara period. Afterwards we tasted a bunch of their wines from grapes grown on site and also from their other vineyards. This is quite a common practice to use grapes from several locations as different varieties of grape grow better in different climates. Lost Block, one of the Tyrrell's wine collections had some hilarious labelling, the Shiraz was my favourite. Kumi discovered a newfound love for dessert wines, in particular Tyrrell's Aged Liqueur Verdelho. My favourite drop here was their Old Block Cabernet Merlot. After an hour of sampling and sharing yarns we had half a sanga each and hit the road. First Creek was our second destination. They had a nice cellar door and Geoff was our wine guy! He threw a few different varieties to us to taste. The Tempranillo was quite an interesting drop but again, Jeni and my favourite was their 2010 Cabernet Merlot. Kumi was quite keen on the Betritus Semillon. The Betritus Semillon flooded me with memories. See the winery I did work experience at, Tamburlane, had a bad batch of the stuff and they asked me to get rid of it. Me being the well respected teenager I was, made sure not to clog up there bins with all this rubish. I took a couple of boxes home and disposed of the stuff myself! After these memories of youth, we decided to set a course for the Tamburlane Winery itself. 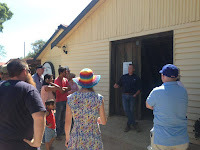 I took a sneek peek around the back to reminisce on cleaning vats and doing the great fun activities wine makers offer to those who request work experience and then headed into the cellar door. 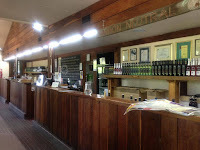 They had a bunch of nice jams, chocolates and other great gift type items in their cellar door. The bloke working there came out and gave us some samples whilst I excitedly told stories of my grandfather working with Doc Allan (The guy who started the winery) and also the Betritus Semillon story I previously covered. The wines here are "organic" which in this day and age is all the rage and alledgedly prevents hangovers. The wines, as tasty as they were, cost around $45 a bottle here, so I didn't have the intention to drink enough to test the theory! Their Cabernet Sauvignon was pretty good though, so I grabbed a bottle of it to share with my Grandfather. Kumi was quite the fan of their Aged Liqueur Muscat, that girl likes her sweet wines! We had hit a point in the day where we decided we needed to eat some cheese. We pulled into McGuigan's and ventured into The Hunter Valley Cheese Factory. They don't offer wine tasting while you eat your cheese which is a bit of a bugger, but if you bring in a bottle of wine they are happy for you to crack it in store. We ordered a plate of cheeses and decided to drink water while we ate it. We all agreed the Brokenback Vintage 5 year cheddar was their best all round cheese. As for personal favourites, for myself it was Marinated Fromage Blanc, Jeni - Sicilian Marinated Feta and Kumi - Hunter Gold Wash Rind. After our cheese we headed to the building next door, McGuigans cellar door. This is a massive commercialised building, guessing this is where every single tour bus pops into. It wasn't too busy when we rocked up so we had a quick browse of the novelty stuff for sale, then tasted the wines. Being the largest winery in the Hunter it's understandable that these wines were the way they were. Very basic tasting, nothing amazing, nothing terrible. Again this is my personal opinion, I'm a bigger red drinker than white and was told this place is known well for it's whites. Next we crossed the road over for a stomp through Tempus Two and to The Smelly Cheese Shop first! A young fella behind the counter was really enthusiastic and passing out some delicious cheese samples. Then for a few bucks we grabbed a gelato platter to share with Mars Bar, Horny Caramel, Apple Pie, Pomegranate, Passionfruit and Mango. the Mars Bar was undisputably everyones favourite! Next we went into the Tempus Two cellar door to try some of their wines. Joel was our server, a passionate fella who was up for a yarn. We had a good ol' chat and tried a few wines, but I found them very similar to McGuigans. Turns out they both share the same winemakers! The afternoon was getting late but we were still pumped for more sampling! We wanted to try some of the chocolate samples, however they had finished offering samples for the day and we missed out! 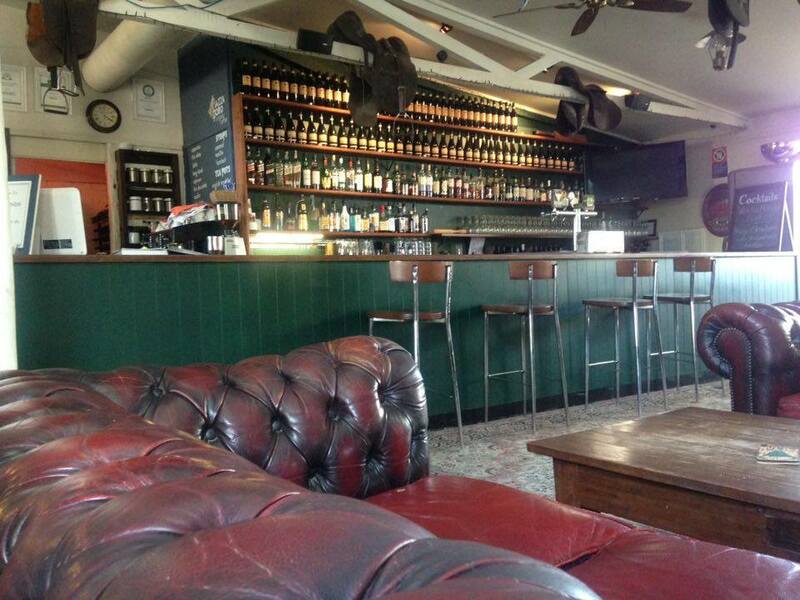 We ended up at the next Cellar Door, a place called Blaxland Inn. Sarah, the bar girl, had a bubbly personality and was happy to have us come in and break the quiet of the late afternoon. She gave us samples of various wines from Blaxland Estate and Reserve, Snake Creek Cattle Company and Racecourse Lane. Maybe I had just sampled a bit too much by this point to make educated decisions about their wines, but I didn't really remember anything truly standing out. I think the results were similar to the rest of the day, I enjoyed the reds while Kumi got excited over the dessert wines! Our last stop of the day was Peterson House. As we arrived a tour group was just finishing up, it was just after 5 and the staff were getting ready to close. 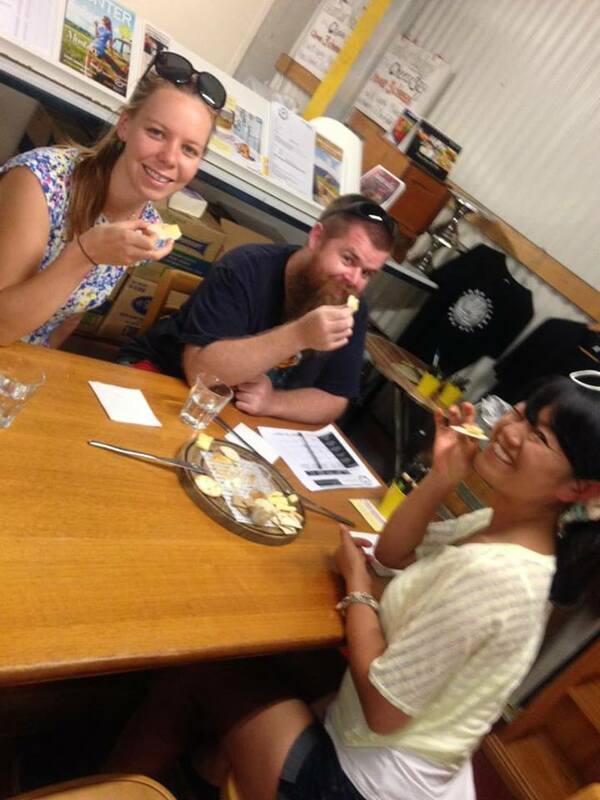 They were good sports though and gave us a quick sample, Kumi with her desserts and a Shiraz for myself. I said the Shiraz was pretty good, he then offered me a taste of their Sparkling Shiraz. I'm not usually that fussed on sparkling wine, however their Sparkling Shiraz was fantastic. Needless to say I purchased a bottle to have with dinner later that night! Our day out in the Hunter Valley was fantastic! Could definitely spend a few more days doing wine tasting out in the Hunter Valley. There is also the Hunter Valley Gardens where you can spend a whole other day at too. We are both looking forward to doing wine tasting vineyard adventures again in the future and in different regions.